"A magical novel, based on a Japanese folk tale, that imagines how the life of a broken-hearted man is transformed when he rescues an injured white crane that has landed in his backyard." George Duncan is an American living and working in London. At forty-eight, he owns a small print shop, is divorced, and lonelier than he realizes. All of the women with whom he has relationships eventually leave him for being too nice. But one night he is woken by an astonishing sound a terrific keening, which is coming from somewhere in his garden. When he investigates he finds a great white crane, a bird taller than even himself. It has been shot through the wing with an arrow. Moved more than he can say, George struggles to take out the arrow from the bird's wing, saving its life before it flies away into the night sky. The next morning, a shaken George tries to go about his daily life, retreating to the back of his store and making cuttings from discarded books a harmless, personal hobby when through the front door of the shop a woman walks in. Her name is Kumiko, and she asks George to help her with her own artwork. George is dumbstruck by her beauty and her enigmatic nature, and begins to fall desperately in love with her. She seems to hold the potential to change his entire life, if he could only get her to reveal the secret of who she is and why she has brought her artwork to him. Witty, magical, and romantic, "The Crane Wife" is a story of passion and sacrifice, that resonates on the level of dream and myth. It is a novel that celebrates the creative imagination, and the disruptive power of love." Ness fashions his mosaic of prose, piecing narrative with snips of a myth-like fable to create a bittersweet story of loss and love. The narrative pace will keep the pages turning, while the imagery and metaphors wound throughout will stay with readers long after they close the book. When George and his daughter, with their seemingly ordinary quirks and heartbreaks, are befriended by an enigmatic woman, art, beauty, and myth become living forces in their lives. This poignant novel echoes with the longings and sorrows of the ages. But what came as a most delightful surprise is the humor and humanity that Patrick Ness brings to this story. Eowyn Ivey, "TheNew York Times" bestselling author of "The Snow Child"
"Patrick Ness is on top form here . . . "The Crane Wife" is a tale full of bittersweet wonder with a very human soul. A treat." Matt Haig, author of "The Radleys"
This is a novel that treads with feather-deft steps through ordinary lives touched by magic, then takes flight on wing beats of powerful storytelling. Ali Shaw, author of "The Girl with Glass Feet"
What s striking is the beauty and humanity of Ness s writing. 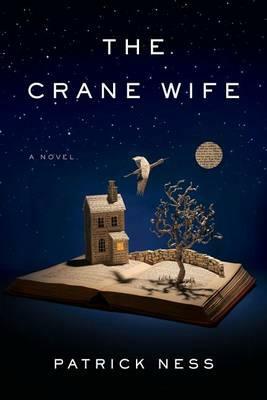 ""The Crane Wife "is a special novel: a perfect fusion of surreal imagery and beautifully crafted internal logic." Enthralling and delightful . . . The dialogue is natural and inspired, and sparkles with latent tension. A fusion of mid-life crisis comedy and classic storytelling. Ness is a highly accomplished storyteller and the gravitational pull of the earthbound strand of his tale is strong enough to stop it from floating off into whimsy. He also has a rare ability to cut poignancy with humour. . . .the mood he creates is unsettling and potent. The story is lively and often quite funny. Ursula Le Guin, "The Guardian"
"The Crane Wife" is a magical and beautiful book spellbinding from start to finish. "Ness is both accessible and sophisticated, handling big subjects in prose that is simple and heart-stopping." "Brave and beautiful, full of compassion." "The Independent," on "A Monster Calls""
Born in Virginia and raised in Hawaii and the state of Washington, Patrick Ness is the author of seven novels and a short story collection. He has won the Carnegie Medal twice, the Guardian Children's Fiction Prize and the Costa Children's Book Award. In 2012 his bestselling novel "A Monster Calls" became the first ever to win both the Kate Greenaway and Carnegie Medals. His books are published in over twenty languages. He lives in London."